Dear business partners, we cordially invite you to the upcoming HANNOVER MESSE 2018 fair. 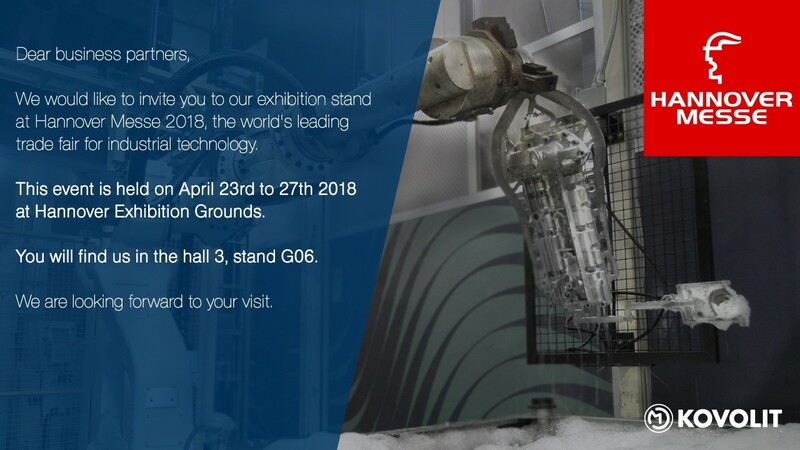 we cordially invite you to the upcoming HANNOVER MESSE 2018 fair in Germany which takes place during 23rd - 27th April 2018. We look forward to welcoming you in our booth in hall 3 booth number G06. From 16th to 18th January, an international trade fair Euroguss was held. Euroguss belongs to the leading trade fair for die casting and shows the whole die casting value chain in one place: from raw materials, technology and processes to the finished products. Dear Business Partners, we cordially invite you to the upcoming fair.